BONITA SPRINGS, FLa. — The trial date has now been set in the case of the Bonita Springs doctor who was killed in 2015 for June 3, 2019 . Investigators say mark sievers plotted to kill his wife, Teresa. He's accused of hiring Curtis Wright and Jimmy Rodgers to kill her. 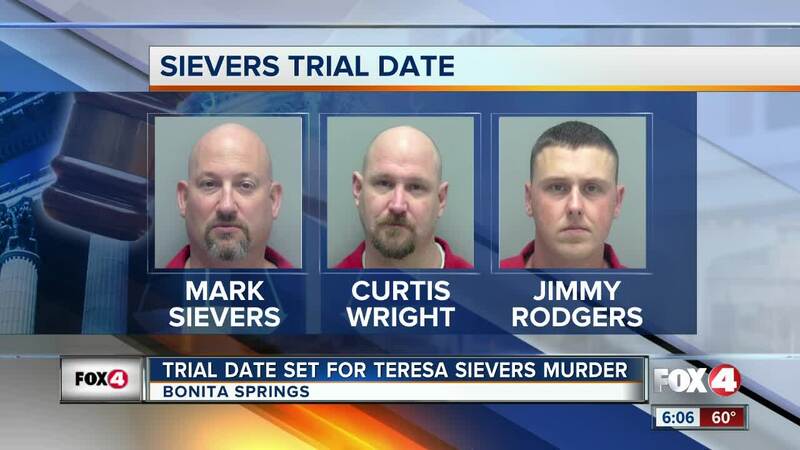 The trial for Sievers and Rodgers will be on June 3rd. They are charged with first-degree murder...and face the death penalty, if convicted. Wright is serving 25 years in prison.